David Cameron steps forth at the Conservative Party Conference on the eve of an early general election. Knowing full well that he has failed as a leader in many respects to make the Conservative Party electable. If the Polls are anything to go by then the Tory party is in meltdown as there is little hope of winning against an 11 point Labour lead, which would have all the hall marks of a Labour landslide win. A poll conducted by the Market Oracle gives labour a further boost which suggests that 83% of voters believe that Labour would win an October General Election. The Labour party conference draws to a close at mid-day today and despite election fever there is no sign that Gordon Brown is about to declare an imminent general election. 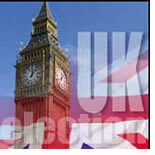 The British press is full of gossip about the possibility of a UK General Election in October 2007. Though not all of the gossip is idle chatter as the party's election coordinator declared " Labour is ready for a general election, whenever Gordon Brown chooses to call one", in advance of Gordon Browns first party conference speech as Prime Minister. This article analyses the reasons for and against a snap general election in October. Almost every non-dollar asset in the world is surging: Gold has just gone through the roof. Other natural resources are following. And foreign stock markets are beating the S&P by up to 11-to-one. Meanwhile, the dollar is falling, and nearly every dollar-based asset is underperforming or sinking. Nearly their entire stock portfolio in U.S. stocks. Few have stopped to realize how severe — or how serious — the dollar decline has become.